I read quite a while ago, because I got sent a proof copy. What do I think of it? Very good, and with one especially good moment near the end, which (spoiler alert: I’m about to say something about this moment) I thought was a very acute comment on the nature of human moral beliefs and intuitions, and which I thought was very well set up to achieve maximum dramatic impact. 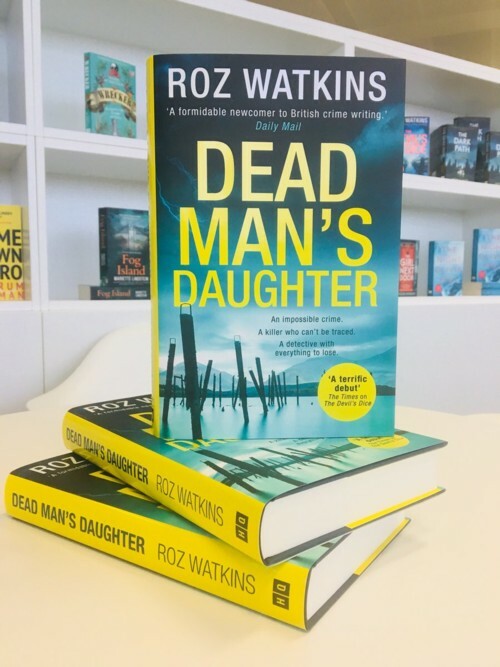 As I have to keep explaining, Roz Watkins is my niece, that being why I keep plugging her books at this blog when most of what you see here is stuff about London and my photos of London. Trouble is, writing about detective thrillers is a bit of a mug’s game. I am used to writing about books of the sort where you are allowed to go into the details of what the book actually says. If I find the argument presented in a book, of the kind I’m used to writing about, to be persuasive, then I can say so and say why. But when you are writing about a detective thriller, telling everyone what it says, and especially how it concludes, is a big no. Those who “review” books like this one seem often to be reduced to cliches, all about how they stayed up all night reading it, did not see the end coming, liked the general atmosphere, the leading characters, the dialogue, and so on and so forth, in pretty much those sorts of words. In particular, reviewers compete with each other to find out how many generalised adjectives they can deploy as a substitute for “very good” (see above). One thing I can say without any fear of giving away any plot details is that the title on the cover of this second book is a lot easier to read (light coloured lettering, mostly dark background) than the title of the first one (lightish lettering, light background) was. I thought that the first book, The Devil’s Dice, was very good, but I think this second one is a bit better, partly for the reason vaguely alluded to in the first paragraph of this, and partly because I found the politics of it (there is some politics, loosely defined (as in: not British party politics)) to be intriguing.